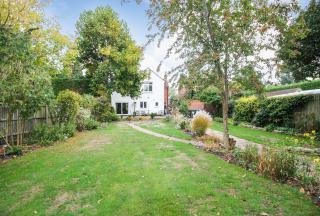 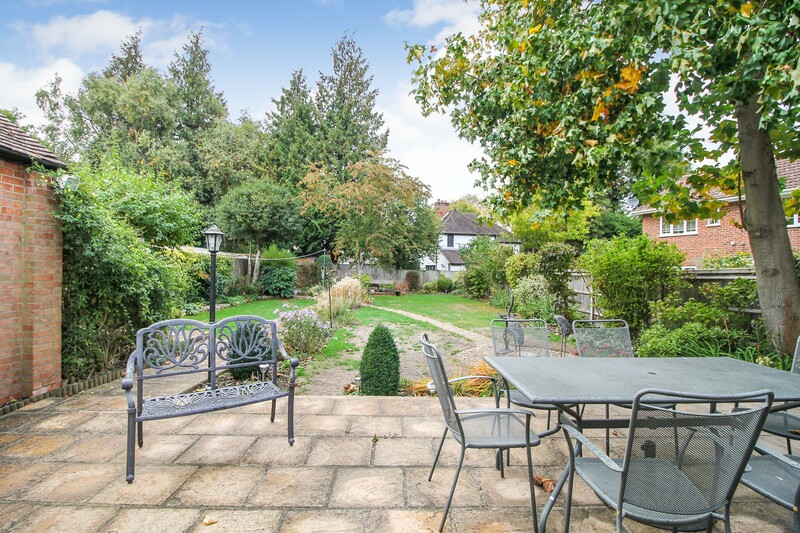 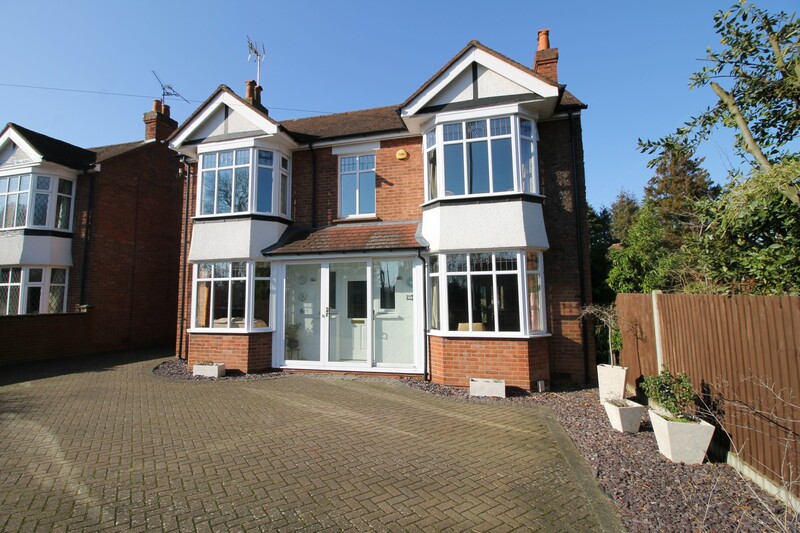 A substantial 1930s extended four double bedroom detached family home being excellently positioned 0.4 miles to both Farnborough Mainline, and North Stations, along with also having easy access to road links. 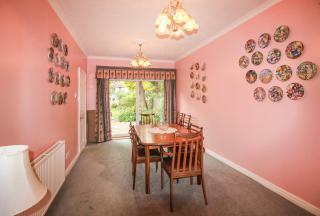 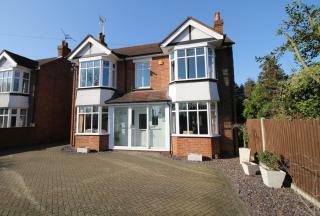 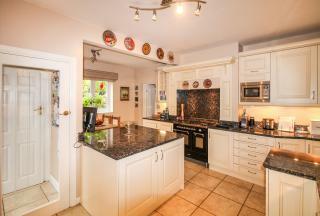 This lovely bay fronted property is in a popular area and must be seen to appreciate in its entirety. Other benefits include three reception rooms, extended kitchen/breakfast room, cloakroom, family bath and shower room, landscaped garden, detached garage, and vast parking. 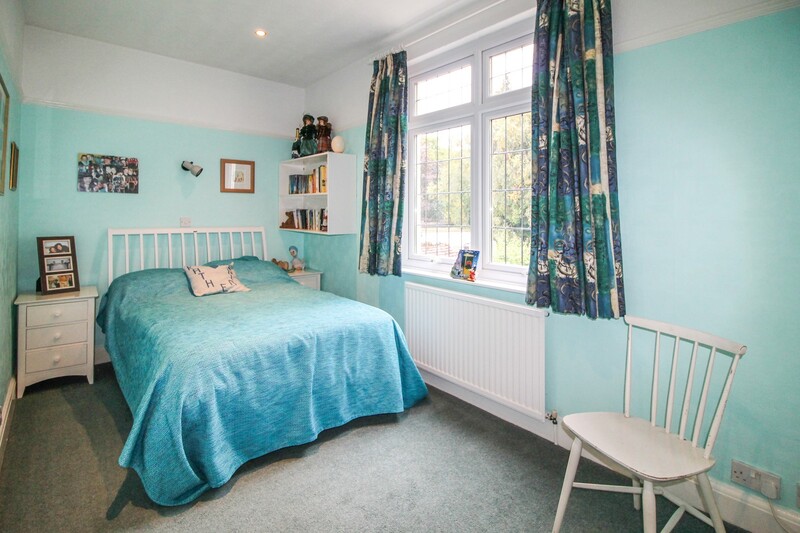 Upon entering you are greeted by a pleasant entrance hall with doors to two of the reception rooms, kitchen/breakfast room, handy storage cupboard and stairs to first floor. 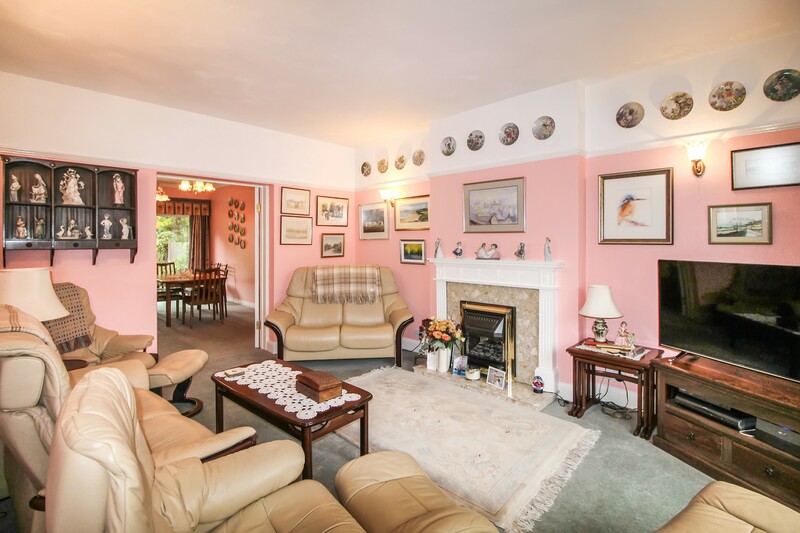 Both the reception rooms to the front are lovely light rooms and have real charm having high ceilings and bay fronted windows. The family room is currently used as living space and study combined, however can be used for a range of purposes to suit your needs whether that be a study, reception area or child’s play room. 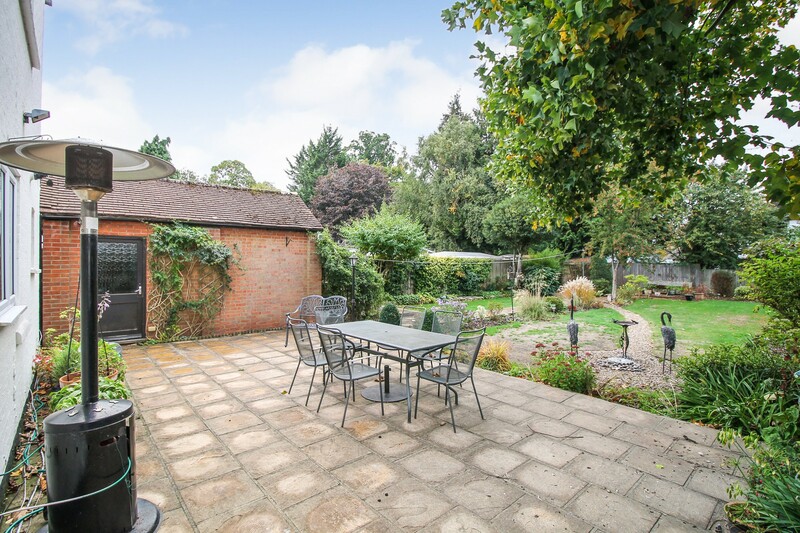 With a feature gas fire the room also has a view down the garden. 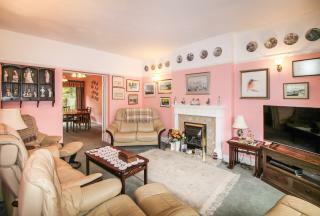 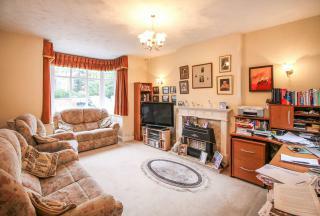 The living room again is a lovely room offering plenty of space for furniture along with having a feature gas fire. Whilst being separate double doors open into the dining space and gives one the option to close off when you wish, but to also open out making this a sociable space and ideal for family day to day living. 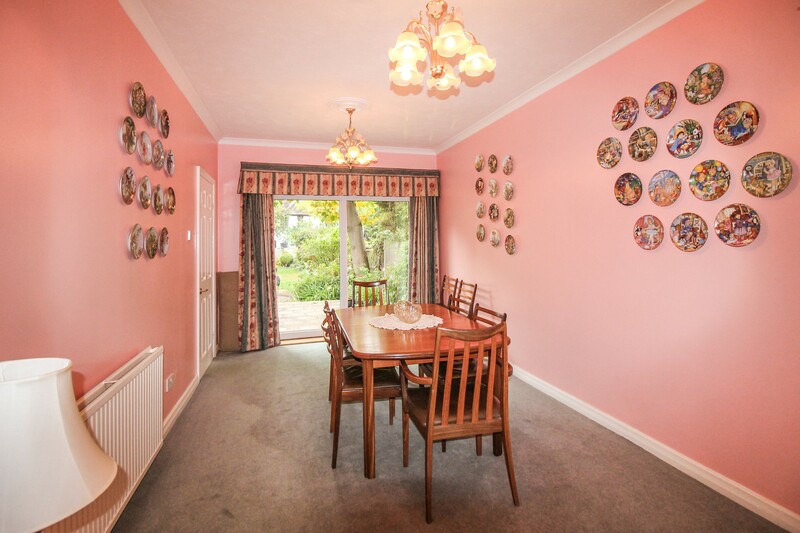 The dining room offers plenty of space for a dining table and other furniture, along with having a door leading to the kitchen and patio doors leading out to the garden. 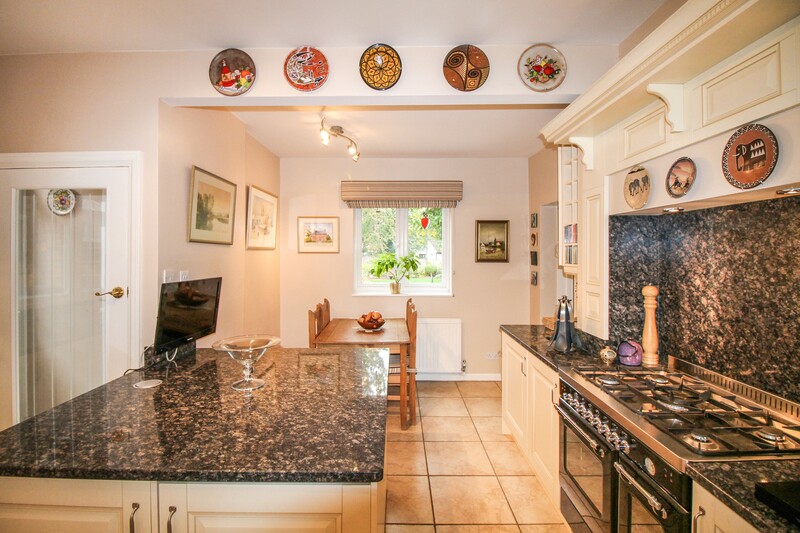 The kitchen is fully equipped with a range of eye and base level storage units, marble work surface area, central island, built in Neff fridge, x2, dishwasher, microwave, along with space for a range cooker. 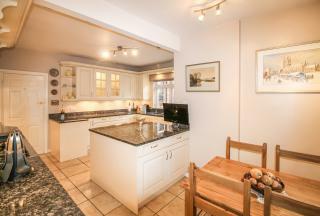 Being part of the extension it’s a wonderful space and again very social with space for a table in the breakfast area. 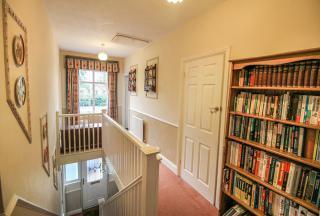 Off the kitchen a hallway leads to the cloakroom, and door outside. 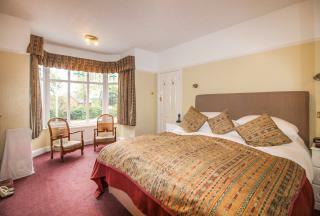 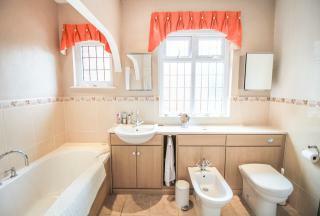 On the first floor you will discover the four double bedrooms, bathroom and shower room. 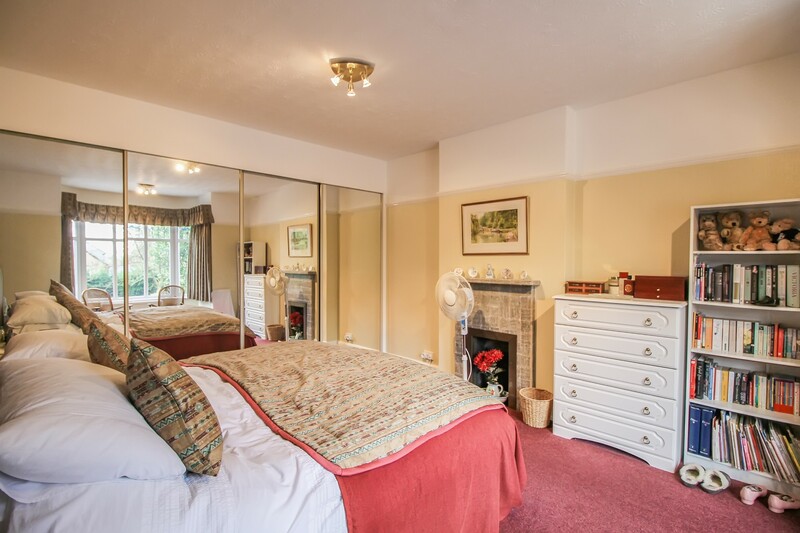 With all four rooms being doubles, they all also have the advantage of built in wardrobes. 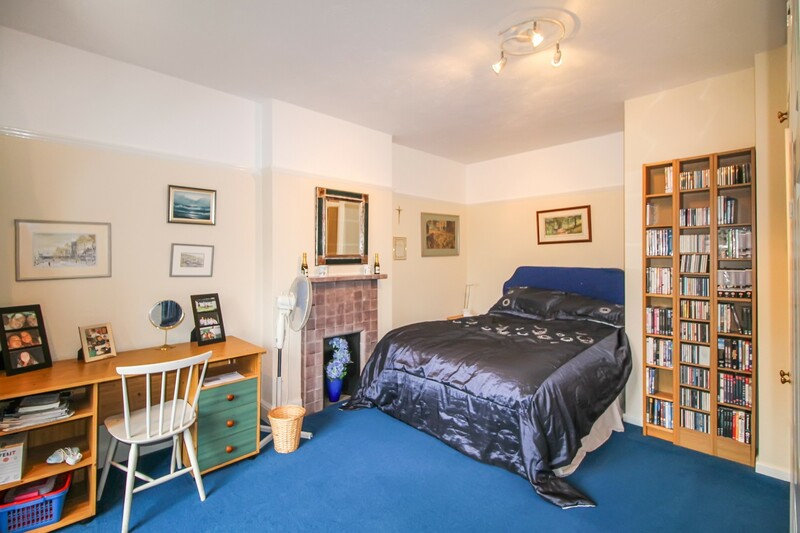 The forth bedroom is also home to the linen cupboard. 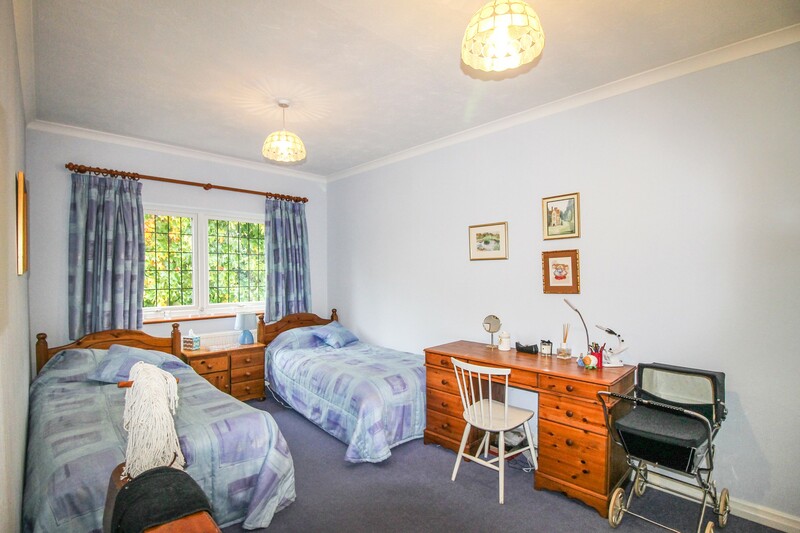 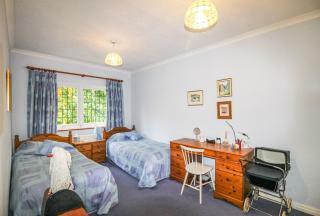 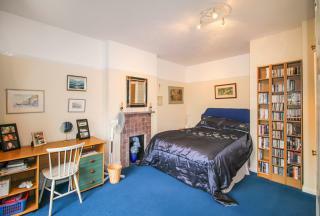 Both bedroom one and two are also bay fronted. The bathroom is fitted with a white suite including bath, separate shower cubicle with Aqualisa power shower, tiled floor with underfloor heating, part tiled walls, and heated towel rail. 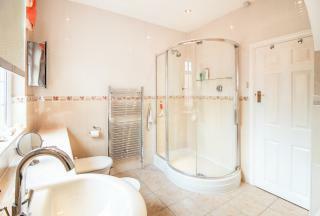 On the landing you will also find a door to the shower room. 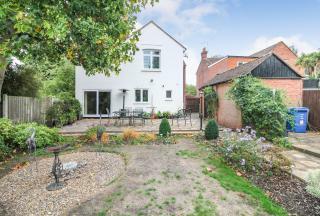 Outside the landscaped rear garden really must be seen to be fully appreciated. With an initial patio area there is then lawn beyond, range of mature borders, path leading down the garden and to a shed. To the side of the property you will find the detached garage having power and light and also being home to further appliances. 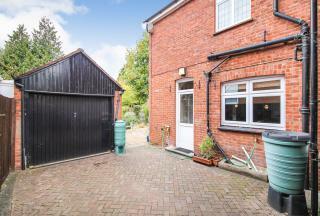 To the side of the property is parking, with double gates leading out to the front driveway, offering parking for several vehicles.